It is quite amazing that in today’s day and age, people are still unaware of what veneers are and what they do. The popularity of veneers has skyrocketed in the past few years or so. For the uninitiated, they are basically thin layers of material that are placed specifically over your teeth to cover up any flaws. If you happen to be one of those people who is looking to show everyone a beautiful smile, then this is your chance to make that happen. In the past, many people have tried variations of cosmetic dentistry only to be unsatisfied with the end product. Regardless of how much they tried, there were always imperfections that they could not fix 100%. Well, there is no need to worry about that any longer because the field of cosmetic dentistry has improved in such a degree that you can ensure that you get any teeth imperfection fixed without having to worry about technical and painful surgical procedures of any kind. If you’re looking for porcelain veneers or an experienced dentist in Miranda, you can get the perfect set of teeth that you’ve always wanted – see more below. A whiter smile: A lot of teeth whitening processes are not as reliable as you think and will not get you the desired results. On the other hand, with a veneer, the whiter colour is more likely to remain permanent provided that you take good care of your teeth on the whole. Fix gaps in your teeth: This is one of the main problems that veneers can solve. Once you opt for a veneer treatment, the dentist can even ensure that the veneers are sharpened so that they completely cover the gaps in your teeth. It corrects misshapen teeth: Veneers can easily solve the problem of misshapen teeth since they are bonded to the surface of your teeth. Depending on how misshapen your teeth are, you may need one or several veneers installed over your teeth. They are extremely durable: Quite a few people seem to have doubts about this but rest assured that enough testing has been done across the board. Even though they may be a tad more expensive than other dental treatments, the fact that they last longer automatically means that you get greater value for your money. It appears natural: The natural sheen that veneers offer cannot be found in other dental treatments. Since they match the colour of your teeth, veneers make your teeth look as natural as it gets. It is a quick and easy process: The effects of most other similar treatments regarding teeth take months and years for proper results to show. This is not the case with dental veneers. All it takes is two trips to the dentist and you. Your bite will improve: Although this aspect may seem rather bizarre at first, the fact of the matter is that a lot of teeth treatments in general focus on improving your bite. This method does it better than most because it primarily focuses on aligning your teeth with leads to the improvement of your bite. There is no pain: This is probably the most important aspects since most dental procedures unfortunately do tend to cause some amounts of pain at first. 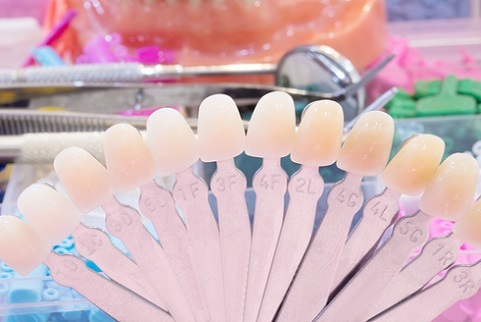 Attaching veneers is a completely pain-free process. It offers a multipurpose solution: By installing them just once, you can fix three to four things that are wrong with your teeth such as crookedness and tooth shape, for instance. There is no need for you to undergo different treatments and have to pay extra money for each of them. If you are looking for the best solution to most of your dental woes out there or a sparkling set of white teeth, rest assured that getting dental veneers is the best bet for you in every single way. There is no better way for you to improve the look of your smile than with dental veneers. However, when all is said and done, it would be worthwhile for you to note that a proper consultation with your dentist in Miranda is highly recommended before you take a decision. Even though veneers are a good treatment option, it is not recommended for anyone and everyone across the board. Hence, letting your dentist determine your eligibility with regard to veneers would be a wise move.